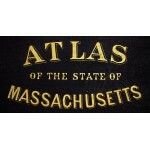 Bound in publisher's leather backed, brown cloth. 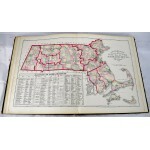 Spine leather worn, partially split. 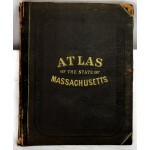 100,  pages: 27 maps (26 color, some double); 45 cm. 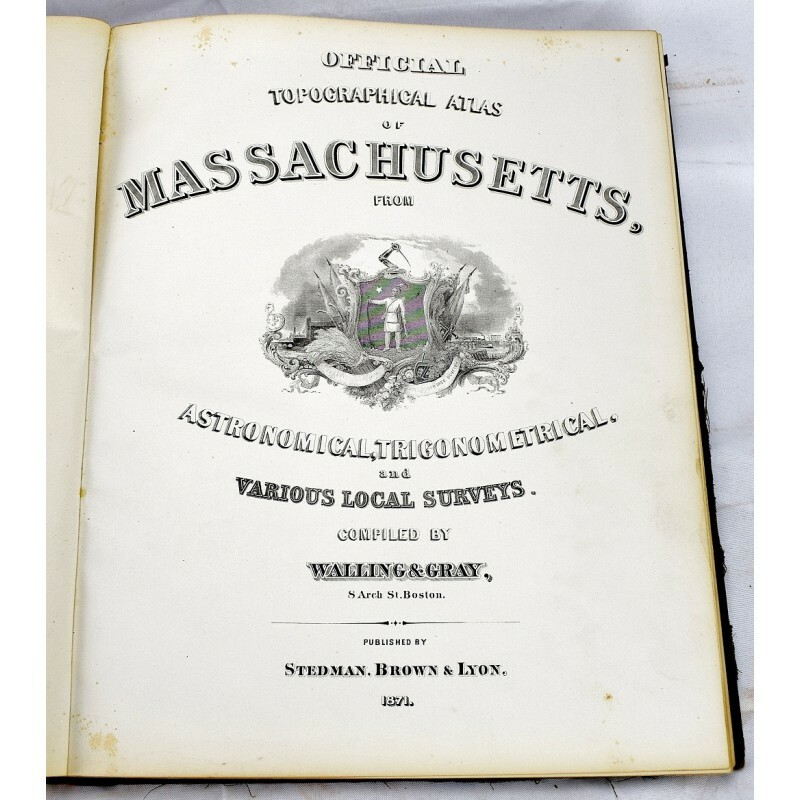 17 1/4" x 14" "List of cities, towns, villages, post-offices, railways, and telegraph stations in Massachusetts": pages 95-100. 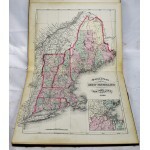 Lists of "patrons" in Boston and vicinity and in Berkshire, Franklin, Hampshire, and Hampden counties, arranged by business or occupation, p. -. 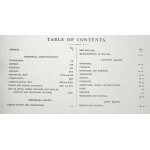 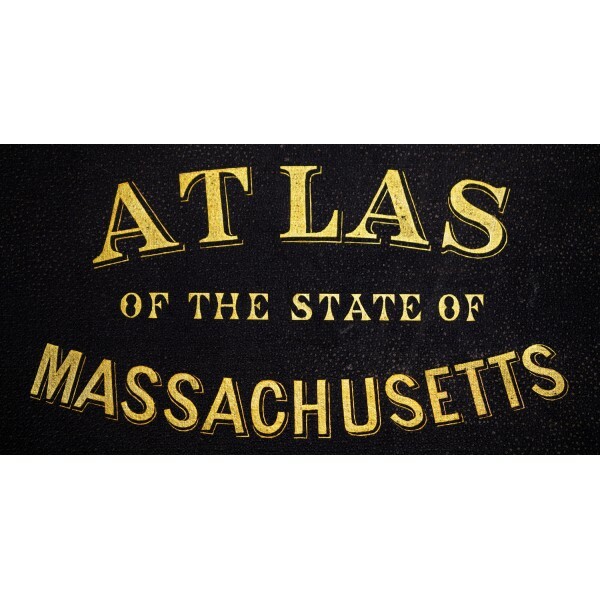 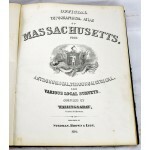 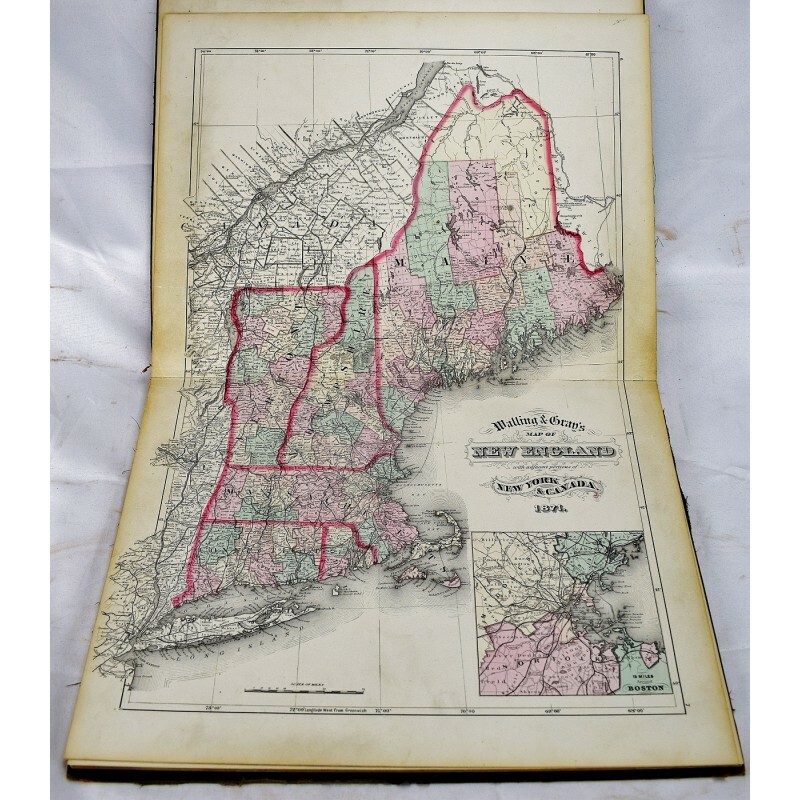 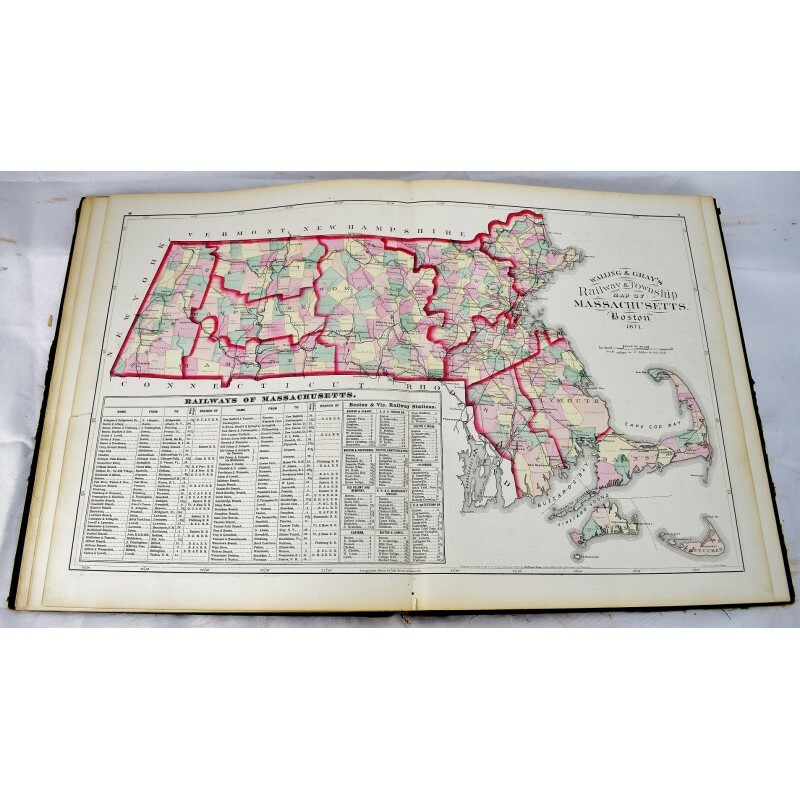 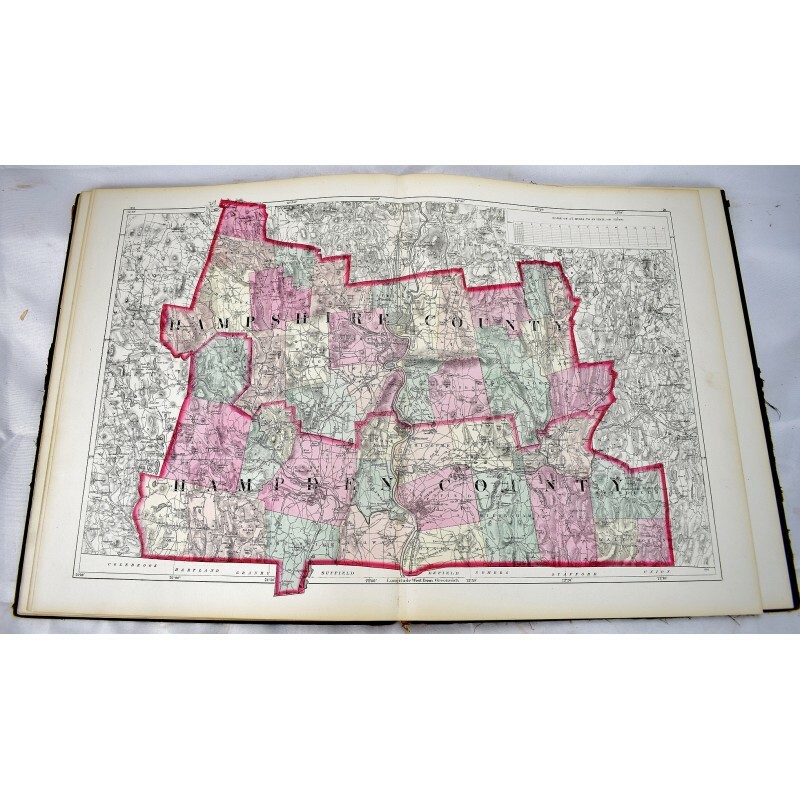 Includes a business directory; census statistics for 1870; and a brief history of Massachusetts. 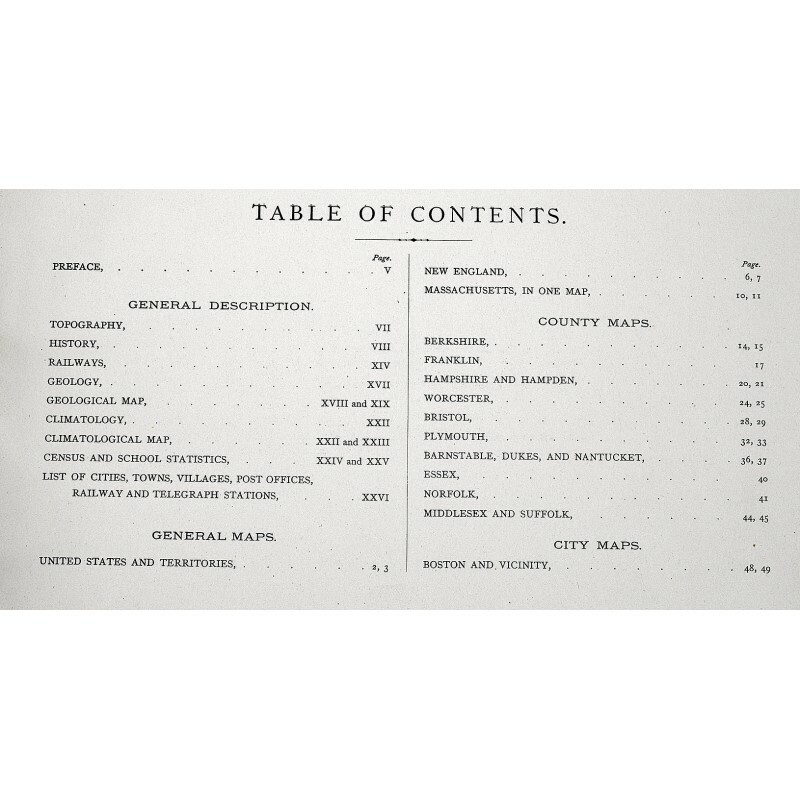 Contents: General description: Topography / by H.F. Walling --History / by A.H. Hoyt --Railways / by Edward Appleton --Geology / by C.H. 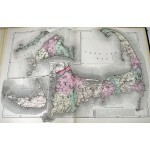 Hitchcock --Climatology / by Lorin Blodget --General maps --County maps --City maps --Statistics. 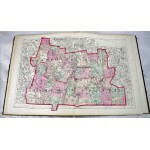 Phillips, 14399; Phillips. 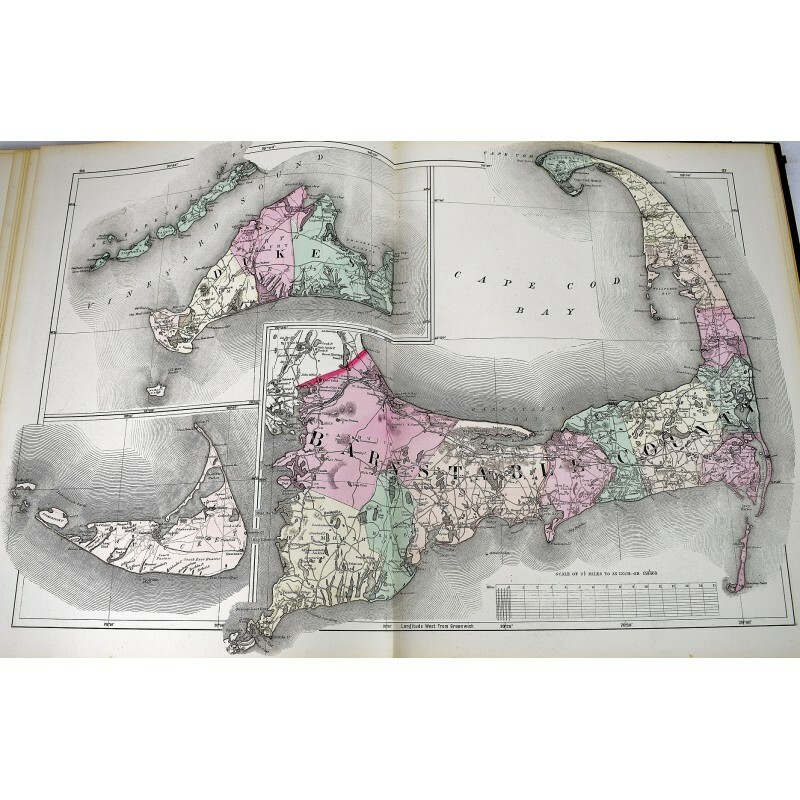 Maps of America, p. 401; LeGear. 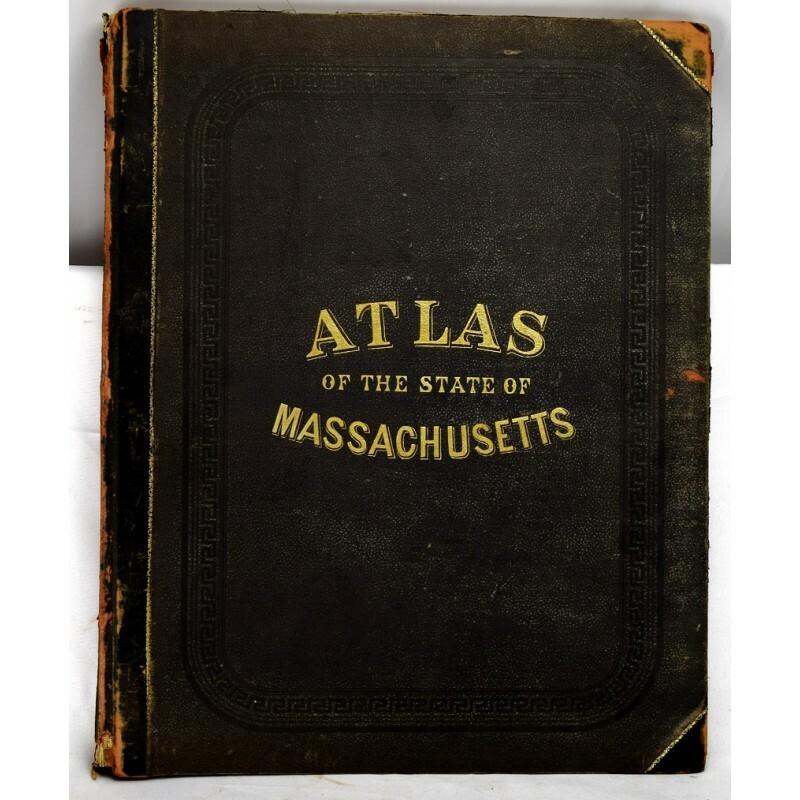 Atlases of the United States, L1551.